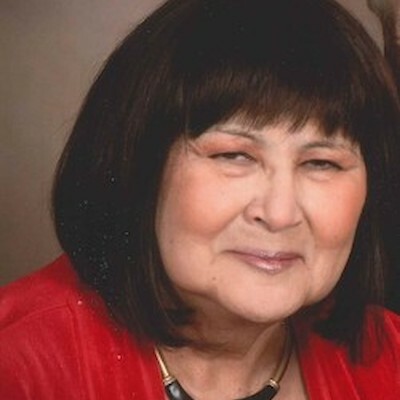 Deborah Sue "Deb" Becker, 65, of Turtle Lake was called to glory on Sunday, March 17, 2019 at Amery Regional Medical Center. She was born November 24, 1953 in San Francisco, CA to Grant and Mary Cruz (Salazar) Hudson. The family lived in San Franciso until 1959 when they moved to Sunnyvale, CA. Deb attended Madrone Elementary and Sunnyvale High School graduating in 1972. During her teen years, she worked as a baby-sitter, a pet sitter, and at a local department store to help support the family. Later, she worked for the National Semiconductor and National Vitamin Company. Deb married her childhood sweetheart, Robert Provenzano, on July 8th, 1972, but the union did not last. Deb met Greg Becker in 1976 and they were married in NAS Moffett Field Chapel, Santa Clara, CA on September 10, 1977. They were blessed with two children, Kristopher and Colette. Deb enjoyed being involved with school and the support of military families. She co-coached Little League and served as Ombudsman for Cruiser Destroyer Group Five staff families, while their loved ones were deployed. While in Virginia, she volunteered at her church pre-school. She continued volunteering at Colette's elementary school after their move to Spring Valley, CA, being honored by the local Parent Teacher Student (PTA) for her participation. Following many moves associated with Greg's military career and his retirement, the family moved to Turtle Lake, Greg's hometown. Deb was always active in support of whatever schools the kids were in and was a founding member of the Turtle Lake Parent-Teacher-Student Association and was an active member of Zion Lutheran Church in Turtle Lake serving as a youth leader. She also worked at the St. Croix Casino and the Turtle Lake Bakery where she was known to give the clients a hard time in good humor. Deb was known for her love of sandy beaches, flowers, reading, her pets, and most of all family; not only immediate, but extended also. Deb shared her rare gift of a genuine caring nature to all who she encountered and was known to quickly make friends wherever she went. Deb touched the lives of many. In 2007, Deb was diagnosed with Collagen Vascular Disease, and a severely degenerated lower back which eventually led to her being bedridden. In Nov. 2018, she was diagnosed with Stage IV pancreatic cancer, and chose chemotherapy to extend her life with family and friends. She is survived by: her husband, Gregory; her son, Kristopher (Ali) Becker of Chippewa Falls, WI; her daughter, Colette Becker of Weston, WI; 4 grandchildren: Mandy, Teagen, Graysen Becker, and Ozrik Hummel; foreign exchange student daughter, Maria (Ryan) Tomczik of Apple Valley, MN; brothers: Anthony Hudson of Bayfield, CA; Robert (Terri) Hudson of Spanish Fork, UT; sister, Patricia (Rick) Walters of Malad City, ID; and many other family and friends. She was preceded in death by her parents. Funeral services will be held at 11 AM Friday, March 22, 2019 at Zion Lutheran Church with Rev. Steve Miller officiating. A private family burial service will be in Northern Wisconsin Veterans Memorial Cemetery. Visitation will be from 4-7 PM Thursday, March 21, 2019 at Skinner Funeral Home in Turtle Lake, and one hour prior to the service. Pallbearers are Steve Johnson, Bruce Willers, Keith Aronson, Joey Christianson, Bryan Westberg, and Jeff Becker. Skinner Funeral Home of Turtle Lake is serving the family.